Just pour, soak and bounce ! 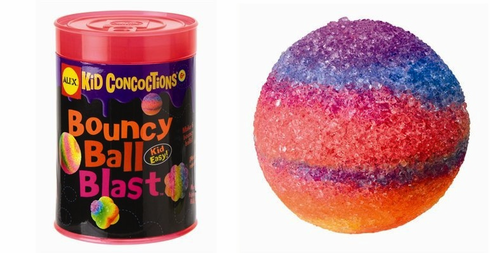 There's plenty of fun for everyone with these colorful, bouncy balls. Play with them inside or outside. Have fun while you run ! Make up to six bouncy balls and watch your kids have the time of their lives.